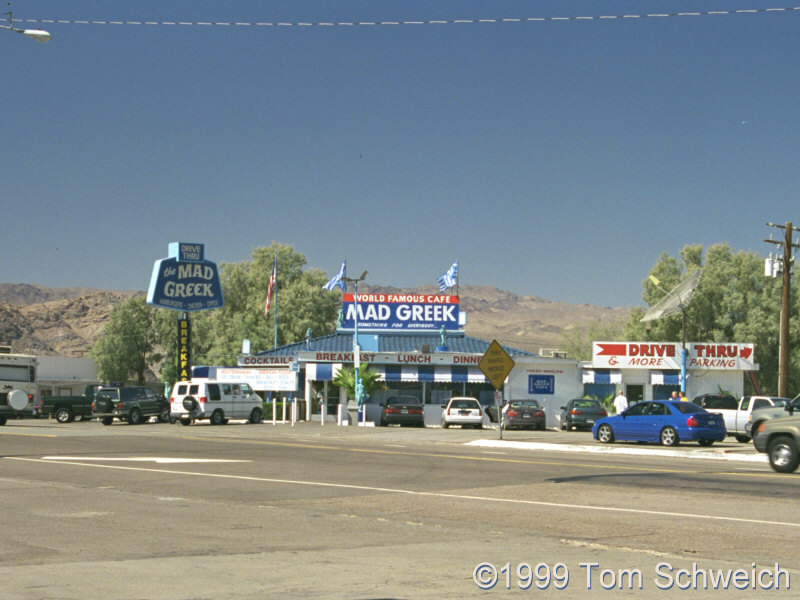 Photo: The Mad Greek Restaurant in Baker, California. Eastern Mojave Vegetation The Mad Greek Restaurant in Baker, California. Photograph taken in September, 1999. U. S. Interstate 15: Baker. Other photos about Geography - Eastern Mojave or Baker, California.